Cookstown tragedy: Book of concolence opened for three teens | SHEmazing! A book of condolence has opened this morning in memory of the teenagers who tragically died in the Tyrone disco tragedy. The public can sign the book at The Burnavon arts centre in Cookstown, at Ranfurly House, Dungannon, and at The Bridewell centre in Magherafelt. The three teenagers whose lives were tragically taken too soon were named as 17-year-old Lauren Bullock, 17-year-old Morgan Barnard and 16-year-old Connor Currie. Tributes have been pouring in for the three teenagers since the harrowing news of their untimely deaths broke. The community is said to be completely devastated by the loss of Lauren, Morgan and Connor. The President of Ireland has expressed his concolences to their families. 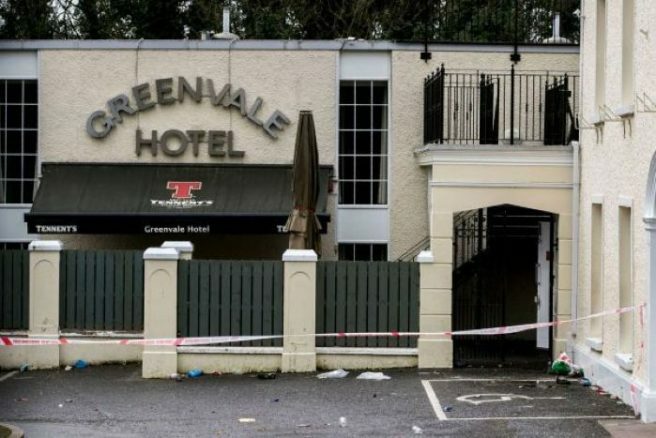 The lives of the three teenagers were claimed when large crowds tried to push their way into the St. Patrick’s Day event at the Greenvale Hotel. The PSNI are carrying out a major investigation.